In the film Kind Hearts and Coronets (1947) Denis Price wears a similar garment, but with ridiculous peak lapels. Your yellow example is obviousely a pattern from at least 1850 ore even earlier. I´m sure it will have a very crooked front shoulder, a shoulder seam shifted to the back and slimmer curvier sleeves than the modern pattern. Maybe Jruley has an historical pattern? Thanks gents. It seems I need to think about historical drafts. The link to the priest cassock is excellent, but difficult to read. Btw, I ran into a firefox (and chrome) extension which overrides Photobucket's severed links for embedded photos and also allows you to download the images. If you try to download them now they don't show up in the image viewer; not mine anyway. Sorry for the delay, this is from the Cut of Men's Clothes. 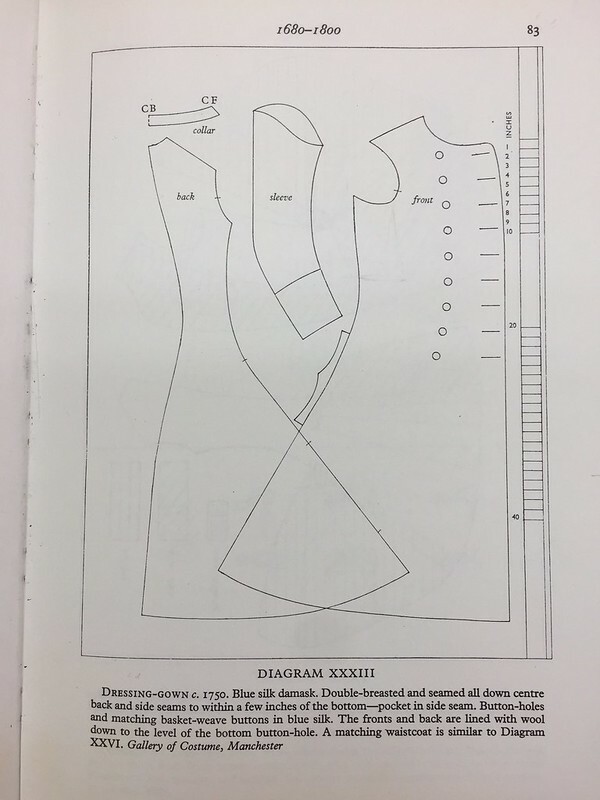 I don't think I have seen any patterns with a waist seam. 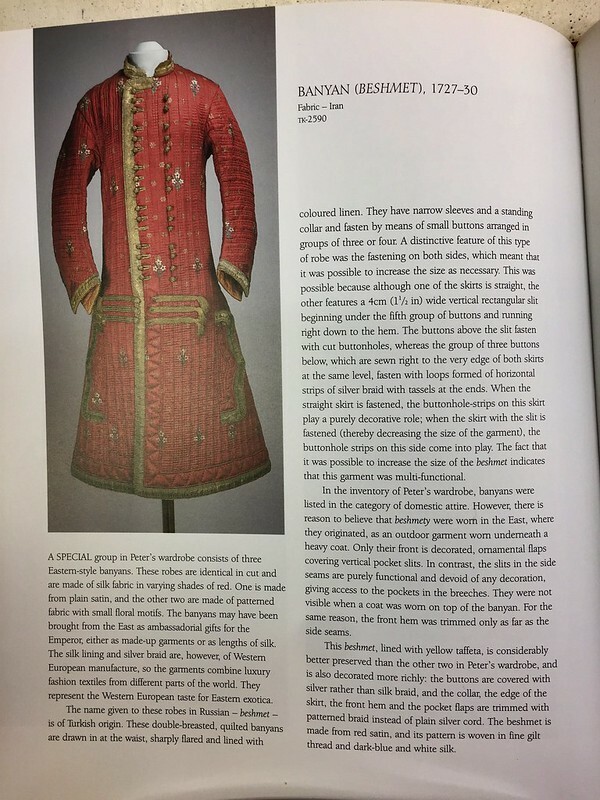 From a book called “The Magnificence of the Tsars” if i recall correctly. 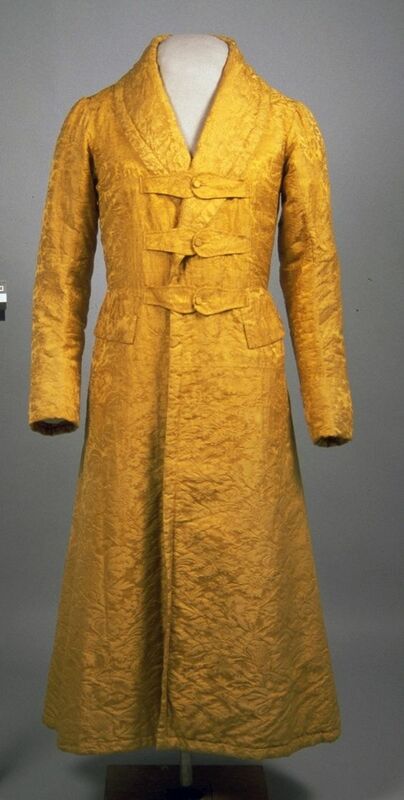 From reading my old books the instruction is to make form the Chesterfield basic pattern, if you want one with a waist seem how about using a frock coat pattern and changing the style lines. They then just go on about how dressing gowns were to be made up. It's really all about the style lines and whether you wish to add drape, the amount of ease and flare required, so one could create a robe from a fitted lounge coat pattern, even shirt as the major fitting points are all there. That red banyan up there is spectacular. Yes Tom, I thought about a frock coat adaptation.